It's time for another Sunday Favorites , hosted by Chari at Happy to Design. I have said it before ,but I will repeat it: I love this idea! Go visit her for all of the wonderful , easy details. I have never forgotten the wisdom of a statement that my oldest daughter made to me. It was a reference to being alone with one's thoughts. By the way, is that a good thing for you, or a not so good thing? It's funny the items that stay in one's mind, forever, and the thoughts and ideas that simply disappear. We all have the 'I will never forgets' and the 'I'd just as soon forget that' battle going on. Negative thoughts seem to have extra staying power- they seem to be born that way- attached to little heat seeking magnets that latch on when good thoughts are struggling to grow and flourish. 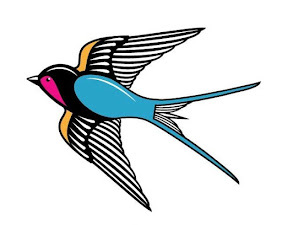 Positive thoughts can be more fleeting, more ethereal- maybe they have wings- spiritual wings-which would make sense. You have to work at hanging on to these. But it's worth it , right? 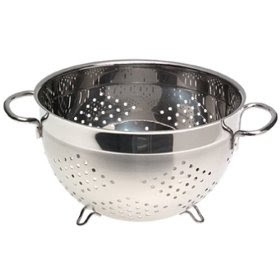 I have decided to call this elusive condition , this in and out box of thinking, 'colander of the mind'. That makes me laugh , and laughing is positive thinking at its finest. 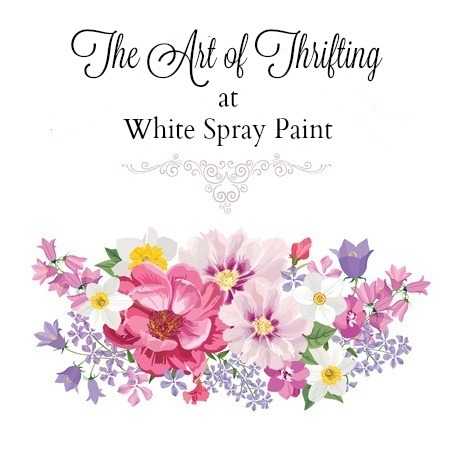 I had to come check out a blog that was titled White Spray Paint! Thanks for stopping by & I hope you'll come back again. Thank you very much for visiting my blog and becoming a follower. Your blog is wonderful! I'll be back to visit with you again soon. Love all your inspiring quotes today. Great post. Happy Mother's Day. Have a great day. Hi Laura, What a great post to make me stop and think about a few things.... take care and Happy Mother's Day! My friend, I do apologize at being so late to get over to your place...I was in and out yesterday with it being Mother's Day! I hope that you had a lovely Mother's Day!!! 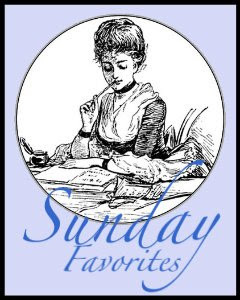 I'm so glad that you joined in with the fun of Sunday Favorites! You chose a real "thought provoking" post to share! It was great reading and I have come to the conclusion that the little holes in my colander...with age...have become larger! It seems that my thoughts, ideas, memories, etc...seem to slip through much easier these days! Many are forever lost, however I have found that writing little notes...reminders...help! I guess some of that paper (from the notes) helps to plug a few of the little holes in the colander so that I can hang on to them longer!!! Hehe!! !